Set sail on a voyage of discovery with Oceans (My First Fact File). 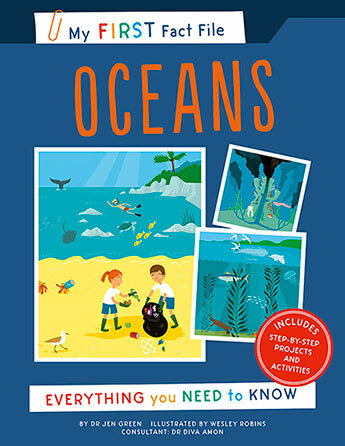 Children will learn about the amazing ecosystems and habitats and the creatures that live in them, how the waves, wind and weather shape our planet, as well as the threat to ocean life from pollution and climate change. 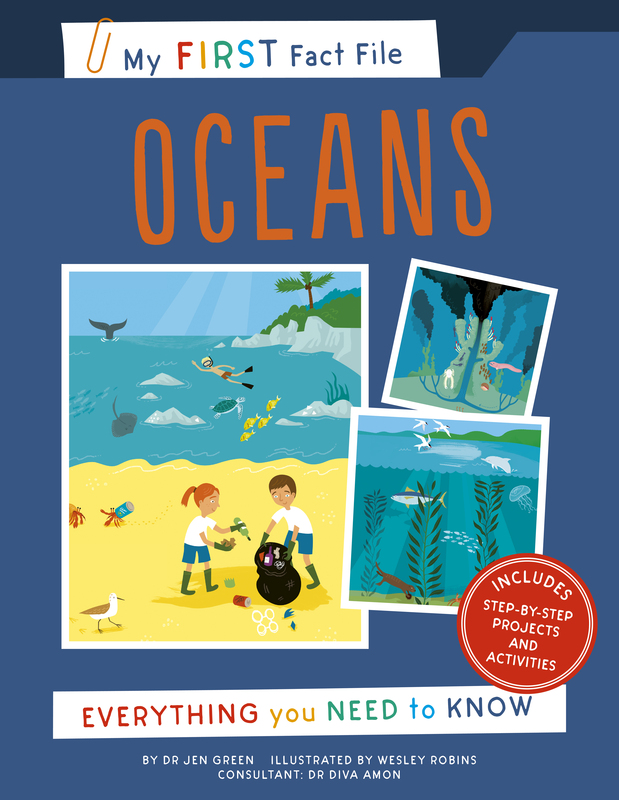 Oceans (My First Fact File) is the perfect introduction to life underwater for readers aged 5 and up. Read about the coral kingdoms beneath the waves and the incredible creatures that live within them. Discover how the gravitational pull of the Sun and moon controls the tides on Earth. Learn how we can work to protect our amazing oceans from the harmful effects of pollution. The world underwater is fascinating, deep and dramatic. Get ready to dive in and explore! Jen Green is a writer and editor specializing in geography, history, nature and the environment. She has written over 350 books for children and adults.